Good morning Sierraterrians – well the day has arrived, Pietro’s on the Ocean is opening today (formerly Rotty’s). 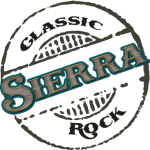 Go to our website www.sierraband.com and there are directions on the home page. They really did an outstanding job renovating this place and we have the honor of playing the opening. 7:30 to 10:30 – our outstanding lead guitar player, Mr. Channing will also be doing his solo act ther on Sunday – Patrick, the Human Jukebox, Channing – no gimmicks, no tracks – all Patrick. This is one of those events you want to say I was there opening night – the menu’s and decor look outstanding – we hope to see you. © 2017 Created by AlternateUniverse.com. Powered by Weblians.